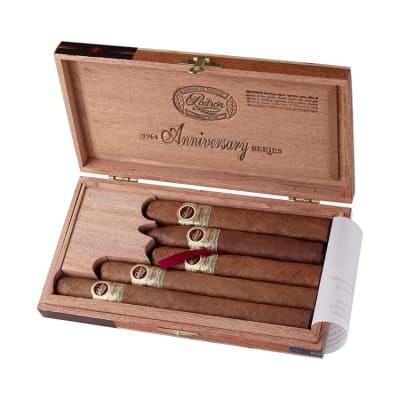 Give yourself the best Anniversary present ever with this savory Padron Anniversary 1964 cigars sampler in 5 exquisite shapes. 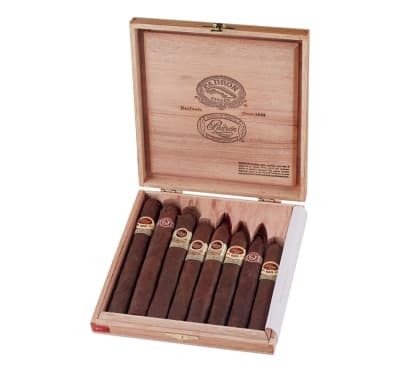 Powered by 4 yr-aged Nicaraguan tobacco and dark, oily wrappers, these full-bodied, square-pressed cigars are among the most flavorful and memorable on earth! Are year ago a friend of mine recommended that I try a Padron1964 addition. I?ve smoked a lot of great cigars or I should say good cigars and I can?t believe I have a tried this particular Padron. I love both the maduro and the natural. Are usually smoke naturals during the day and then maduro in the evening. If you haven?t tried one you wore to yourself! First off, these may lead to you disliking your favorite cigars. Second, they may make you refinance your house or sell your car so you can get more. They are that good.Padron 1926 and 1964s, in my opinion, are the gold standard of cigars currently available legally in the US. Giving them tasting notes or a flavor profile does not do them justice. 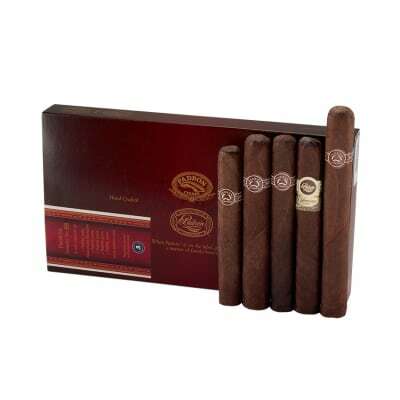 They are kind of indescribable.The Padron Anniversary series cigars are always my first search across the internet. I measure all cigars against these, and most cigars I smoke make me wish they were a Padron. . .until the rare occasion when I can afford to smoke one, and the world for a moment takes a break, and there I find 90 minutes of nirvana. These are unbelievable, perfect in absolutely every way. If your willing to spend a couple more dollars for a good cigar you won?t be mad! This cigar is phenomenal. I tell everyone to buy them when they can! Love Padron. This cigar is one of the best they offer in my opinion.